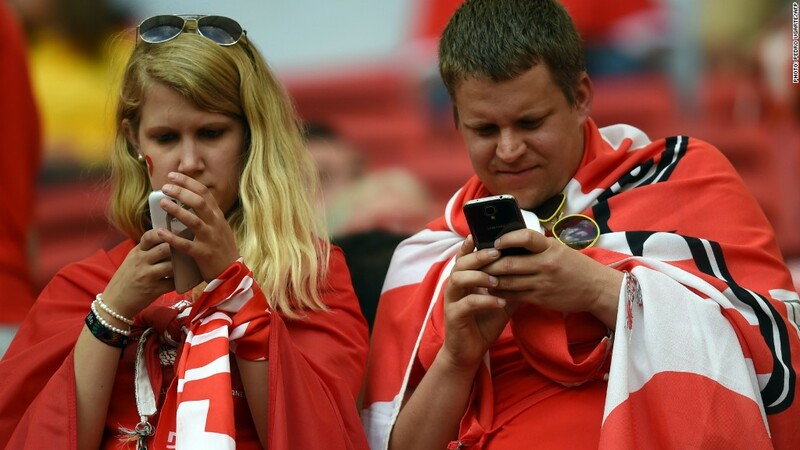 This year's World Cup is likely to be the most social ever. The Olympics are big. But they don't stack up to the World Cup, at least in terms of social buzz. The 2014 World Cup will be the most social sporting event ever, according to projections from the Adobe (ADBE) Digital Index, a study of online marketing. The month-long soccer championship is already is outpacing the Sochi Olympics and 2014 Super Bowl. The most famous athletes, such as Portugal's Cristiano Ronaldo, are getting millions of mentions each. In the year leading up to the first matches in Brazil last week, the World Cup was mentioned 19 million times across the blogs and social outlets Adobe tracks, which include Facebook, (FB) Google (GOOG)+, Reddit, Twitter (TWTR), Instagram and YouTube. The conversation is more global than the Olympics, Adobe said, and spans 230 countries. People in Japan are most engaged, posting nearly two of every five mentions, while the U.S. was just behind Brazil, contributing about 8% of social media mentions. Sentiments from the host nation reflect what has played out in the streets of Sao Paulo, where protesters have demonstrated their frustration with the government spending $11 billion to host the games. Adobe said in an online post about the findings that 42% of posts from the host nation "expressed sadness, anger, or disgust." The matches are also expected to set records on viewers' other screen: the television. Experts say the worldwide audience could number 3.6 billion people. Advertisers -- most notably Nike (NKE) and Adidas -- are fighting to put their products in front of those fans.